FAQ - Where is my data? Suddently the iCash File Manager has stopped showing your data files? You have purchased a new computer and you want to transfer your iCash data but you don't know where that data is stored on your computer? No worry, iCash is a document-based application like Microsoft Word or Excel, your data is where you saved it in the first place, at the time you created your iCash data file. 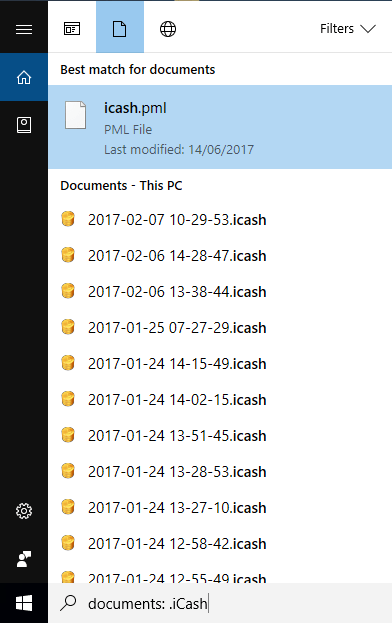 Why did the iCash File Manager stopped displaying your files? The File Manager usually displays your recent files, it is a clone of the File > Open Recent menu actually. If you select the File > Open Recent > Clear Menu the list will be reseted and the File Manager will appear empty. If you select an entry on the File Manager and press the delete key on your keyboad, the file will be removed from the list (or placed to the trash upon request). As soon as you create or open an iCash file, it is added back to the list. 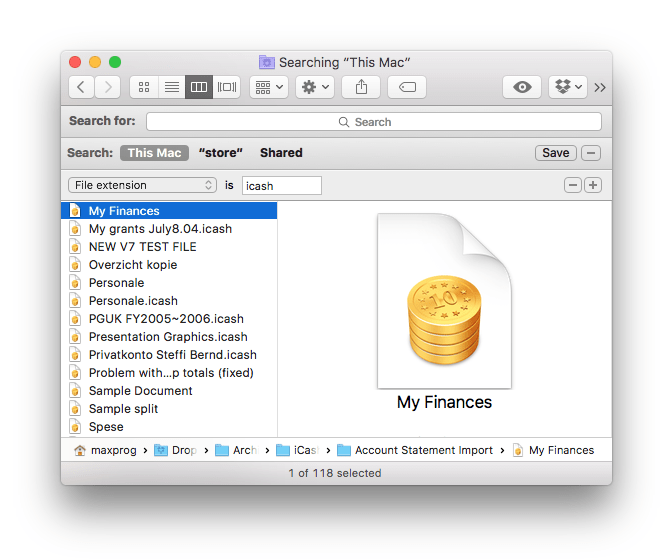 The iCash File Manager is some kind of 'repository' of documents that gathers your iCash files in a common place wherever they are on your hard drive. Once you have located your file you can move it to a better place, a place you can remember then double-click on it. You can even drag and drop it over the File Manager to add it back to the list. If you don't see your file you will have to get it from the backup folder. Indeed iCash performs automatic backups for you to the ~/Library/Application Support/Maxprog/iCash/Backups folder every-time you close a document or open a document that needs updating. Each document backup is saved to a folder with the same name. The 15 more recent backup files are maintained, they are labeled with the backup date, for example '2005-10-13 19-43-09' which means 'October 13, 2005 19:43:09'.